If you are talking about style and elegance, you must mention the famous Panama hat or straw hat. An authentic piece native in the American continent that has fallen in love with the entire world population. Due to its simplicity and high capacity to combine with any look, it has become the perfect touch for finishing your summer outfit either if you are a men or a woman. Is just enough to have the willingness and good taste to use it. However, there is a detail that at first glance can make you feel disappointed and is that the Panama hat does not come from Panama . Curious, right? “Made in Ecuador” reads the pattern that identifies the boxes where the hats are kept. A true Panama hat, made with straw and hand made by craftsmen with delicate hands, is made in Cuenca. This Ecuadorian city is 8,200 feet above sea level and is embedded, like a treasure of nature, in the mountains of the Andean country. These hats became famous in the year 1906 when the president of the United States, Theodore Roosevelt, took a photo posing in the excavators that opened the Panama Canal. Since its distribution began, their transportation was made by horses and donkeys. Cargo animals that crossed El Cajas, the Ecuadorian massif of thirteen thousand feet high, that connects with the city of Guayaquil. From there, they ended up in Panama, a country that opened its doors to the world. France was one of the European countries that helped raise the popularity of the hat. In the year 1849, twenty thousand units of these pieces left Ecuador and in 1855 arrived in Paris, one of the capitals of the world. The manager of this journey was a Frenchman who lived in Panama. After being amazed by the style imposed by the hats, he decided to present it at the Universal Exhibition of Paris. From that moment, the inhabitants of the city were fascinated with that element of fine and delicate material. Soon, the Parisians called it “straw weaving”, making it a complement of absolute mandatory in the style of their outfit. It was enough that the hat got popularized in France so throughout Europe the word about this milestone of classic fashion was spread. We have spoken of Cuenca as the mother city of these hats, but little information is found about another town that has served as a protector of this tradition. It is the town of Pile, a place that is located about 10 minutes from the Pacific Ocean, in the province of Manabí, and has approximately one thousand inhabitants. In this land grows the Toquilla straw, one of the many plants with which hats are woven. Its inhabitants defend this territory as the genesis of the talent that has overflowed with the Panama Hat that was later deployed to Cuenca and Montecristi and then to the world. Its artisans, worried about oblivion, ratify its milestone in the history of fashion. It is difficult to imagine that from this town with dirty roads and scarce communication opportunities, the hat that imitates silk by its finish and texture. A territory on the edge of the Pacific with weavers who produce hats that sell for thousands of dollars throughout the international market. To have one of those coveted Panamanian hats, you will need basically a very good disposition. Even if you have all the materials, you may never get your design to be the same, so it is ideal to buy it and enjoy having it with you. To make them, the craftsmen use three different weaving techniques, which makes each hat unique. Do you find it incredible? Well, although it does not look like it due to its quality and precision in the fabric, no craftsman uses a sewing machine. Also, a natural dye is necessary. For a good Panama hat, using the acorn plant is ideal. To make it with the highest quality, the buds of this plant should be used. It is about new and closed leaves. The objective is to achieve the whiteness that characterizes the hat, and this cannot be achieved if an open leaf is used because it is already mature and with a difficult color to modify. This is the other plant that can be used to make the hats. The fibers they produce are the most suitable for their weave. It grows in the mountains and is characterized by a trunk full of thorns. We can tell you from their bud that they are easy to handle. The chonta differs from the acorn by its texture, color and because it has a very characteristic natural shine. From it comes the black color, because when soaking its fiber with chisna ink, it produces an intense red color that later becomes black, when the fiber is dyed with the mud that is produced in the streams. This is another material that is used in weaving techniques. The reed grows in humid areas, especially near streams. Talking about the making of the Panama hat is to refer to the work that symbolizes an entire community. It is about recognizing the own style that this accessory prints on each person who uses it, for which it is well accepted anywhere in the world. When people wear a hat, in addition to enhancing their image, they inspire other people to wear not only fashion and good taste, but also make those who contributed their effort to elaborate that piece proud. There is no Panama hat that looks like another. Its preparation can take days and even months, depending on the model that is going to be elaborated. Its craftsmanship is complex and merits all the craftsman’s attention. There are three fundamental stages: harvesting, making and finishing. At this point, a group of people collect the raw material and turn it into fibers or threads that they then sell to the artisans or weavers. The plants grow in the humid zones of humid and tropical climate that are found in the coasts of Ecuador. People from the coast unravel the plants. Then, to make them white, they cook them with sulfur. With the ideal texture, which is when they are soft and can be handled, they move it to Cuenca to distribute it to the weavers. Once the craftsmen have the plants in their hands, they weave the hats. According to the order they have, they make the hats in different models, sizes and qualities. One option for many weavers is to sell the semi-finished hat to other merchants. At this stage, a group of people complete the process of making by giving it the final touches. With the semi-finished hat, these artisans have the possibility to create new models. Now they sell them to cities like Montecristi and export it to the whole world. During each phase, there is a group of people who are dedicated exclusively to their collaborative work. In most common cases, there are three members on each the group, one person for each stage. What is certain is that there are few cases in which only one person makes the hats. If you go to Cuenca, Pile or Montecristi, you could witness the women who spin each strand to make each hat. They are at the door of their houses with a peculiar calm, typical of the concentration and the patience that they must have when they weave. Those who observe them, will see in their faces a smile from ear to ear and a distinctive dress: white shirt and skirt of a striking color, such as red, purple, green or yellow. What can never be missing, is the native straw hat, the distinctive sign of the creators of these lands. In the market, you can find different styles of these hats, all ready for a particular occasion or with a mark that differentiates them from each other. Their names are striking because they do not depend on the material, but on the objective that the piece will fulfill. Keep reading and you will be surprised. • The white hat: this is the classic and is also known as an ocueño hat. It does not have ornaments, but sometimes you can see a mark on the edge of the brim. • Riata hat: they date back to ancient times when the grandmothers used it in times of mourning. This hat was combined with the black dresses of mourning. • Hat point four: used by men for their religious activities. It is very similar to the riata hat, but talc is added during it´s elaboration. • Painted hat for commitment: it is the typical gift that a man can make a woman to make her fall in love with him. The gallant has it get made with various talc designs. Legend says that the more ornaments you have, the more love your lover feels. • Mosquito or guate seed hat: it is the typical hat that represents the work done by peasants in the field. • Knock-down man hat: although the name indicates that only men can use it, they are also made for women. They are used in parties and sometimes in occasions of merriment and joy. 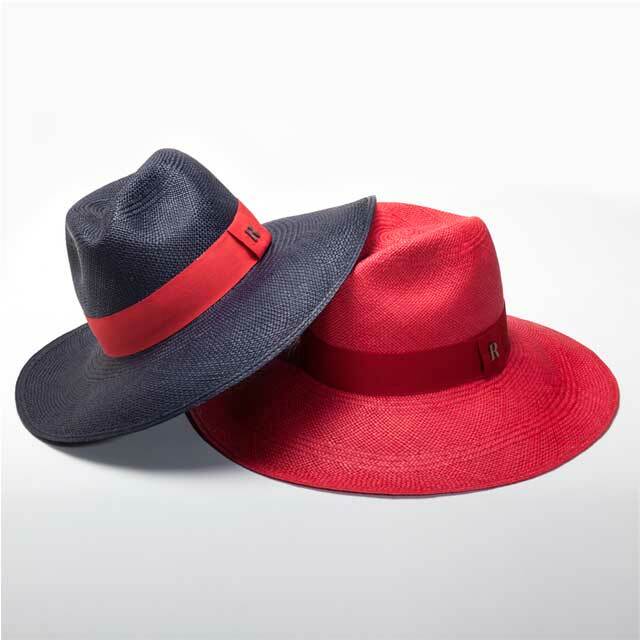 • Fang or Marseille hat: this hat is a legacy of the French community in Panama. The technique used to weave it is different. Straw hats require a series of cares to last over time. With a product as delicate as these exclusive pieces, the objective is to keep them in perfect condition and extend their life of use. Next, we will tell you how to achieve this goal. • In dry climates, the hat gets rigid, and that makes it a bit uncomfortable. It is ideal to moisten it with steam from an iron or simply leave it in the bathroom while taking a shower. In this way, it will get more flexible and comfortable. • In humid climates, the hat may get wet enough to win mold. We recommend placing it in the driest places you can get in these areas to prevent the straw from deteriorating. • To put on or take off the hat, take it by the brims. Avoid putting your hands on the front top, because it is the most delicate area. In dry climates, inappropriate contact could break the fibers. • Never, for any reason, leave the hat in direct heat sources. Due to the magnifying effect, high temperatures can burn the material, so avoid placing them on top of your vehicle. • If at any time your hat gets wet, use a clean, dry cloth first. Then let it dry at natural temperature. Do not use electrical appliances such as hair dryers or heating radiators. • To harden the brim and shape it, use an iron. Place a clean white fabric between the tool and the hat to avoid direct contact that can damage it. Use medium temperature. • To remove the hat stains that can appear due to the weather or some inappropriate contact, use a clean cloth slightly dampened with foam from mild soap like the one used to wash hands. Germany, Australia, China, Spain, Italy, Japan, Kazakhstan, Syria and Turkey are countries that are located in different regions of the world but that have an element that unites them: the Panama hat. 98% of this product leaves Ecuador for nations as far away as the ones we previously named. It was declared Intangible Cultural Heritage of Humanity in 2012 by UNESCO. Its traditional fabric made it worthy of this recognition that positions Ecuador among the countries that belong to the lists of this world organization. Back then, the government of the Republic of Ecuador declared its pride at such mention. In the statement, the government declared the event as a fact of historical justice that vindicates this nation as the original territory of these hats. This way, the government got rid of the assumptions that indicated that the hat did come from Panama. It is already possible that the Panama hat stops existing only in Hollywood movies, such as “Indiana Jones”, “The Godfather” and “Pretty Woman”. If it is within your means, acquire one. Its value is proportional to the quality, elegance and style it will impose when you crown your head with this beautiful piece. Remember that it is a unique, light, fresh product that will last your lifetime.